Sunday marked one of the most sacred holidays in Philadelphia: National Cheesesteak Day. Across the region, fans of the greasy, carb-crammed, sodium-saturated sub lined up for a culinary tradition “wit” or “witout” that medical professionals deride as a heart attack on a plate. They have a point. Some of the variations on the treasured sandwich – such as those with bacon and mayo – have a calorie count that can resemble your birth year. 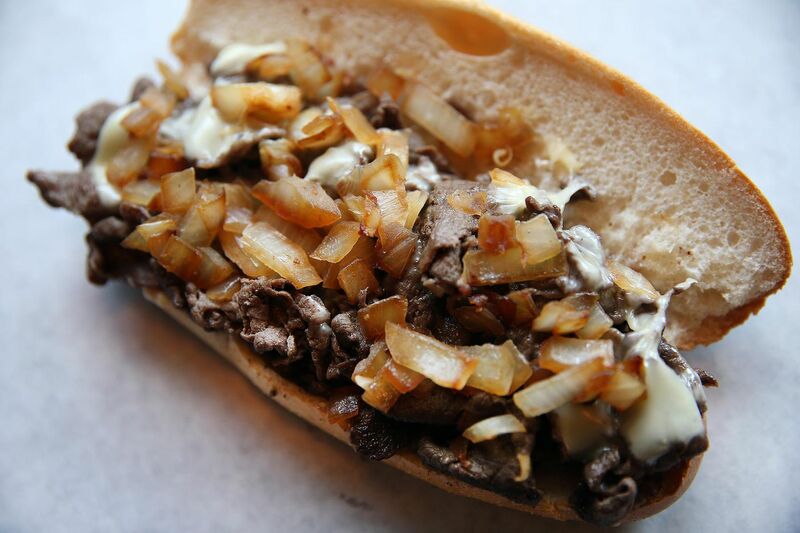 But we all know a fully loaded cheesesteak is not just a one-day-a-year indulgence. So we turned to the professionals for some guidance on how many are acceptable for a reasonable life expectancy. “If you are going to eat it, eat it in moderation," she said. In the opinion of Neel Chokshi, medical director of Penn’s Sports Cardiology and Fitness Program, “Eating one cheesesteak on National Cheesesteak Day will not make or break your heart.” But if you enjoy repeated cheesesteaks, there is a reasonable chance your overall diet needs to be examined more closely, he said. Here is why Chokshi says it’s important not to indulge too often. After someone downs a cheesesteak, there will be an acute surge of fat into the bloodstream in the form of triglycerides. If that level gets too high, it can put the diner at risk for pancreatitis, admittedly a rare outcome. For diabetics, the sandwich could cause a dangerous surge in blood sugar, Chokshi said. Gastrointestinal discomfort can run the gamut, from garden-variety heartburn to possibly even aggravation of preexisting gallbladder disease. Also, when you eat the cheesesteak matters. If it’s a late-night snack, there could be, well, not a whole lot of sleeping going on after it, Chokshi said. If your kids haven’t yet developed a taste for the mega-sandwich, think twice about any indoctrination, said Chokshi, who, by the way, is a vegetarian. “We are facing an obesity epidemic with kids,” he said. They tend to pick up habits when they are little and impressionable. You don’t want them to carry bad habits into adulthood where they are hard to reverse, he said. There are ways to make a cheesesteak healthier, said Drexel’s Frank, a Pennsylvania native who admitted to an occasional indulgence. Opt for chicken, she said, which is lower in fat than ribeye steak. Choose whole wheat over a white roll to get more fiber, protein and Vitamin B. Substitute provolone for processed Cheese Whiz to lower the sodium and add calcium. Skip the mayo and share the sub or save half for another meal, Frank said. Obviously, what you drink with that cheesesteak can make matters worse. So, Frank said, drink water – and ask for fruit or veggies as a side.